A well-planned residential neighborhood on the western edge of Las Vegas, Summerlin offers a quiet, scenic alternative to the Strip. There are many excellent restaurants, boutique shops and outdoor recreation activities to keep residents and visitors entertained! This is an area of the city that features the picturesque and tranquil side of Las Vegas. Parks are plentiful here, and golf enthusiasts will be thrilled with the variety of courses to tee off. Angel Park is one popular, public green venue, and Red Rock National Recreation area provides a great location for hiking, biking, horseback riding and picnicking. After you head into Summerlin for an eye exam at YESnick Vision Center, be sure to grab a bite to eat before continuing with your day! Nearby diners, such as Vintner Grill and Firefly, will leave your taste buds tingling with local, budget-friendly flavor. For a neighborhood hotel casino experience, the Suncoast, J.W. Marriot and Red Rock Resort all give rolling action – complete with lively entertainment and a full buffet - without heading into downtown Las Vegas. The most recent addition to Summerlin’s shopping experience is Tivoli Village, an outdoor pedestrian plaza with a wide array of stores, eateries and businesses. All the hottest, contemporary shops can be found here, such as Land Rover, Pandor and BluNoir. As one of the most affluent areas in Nevada, Summerlin is a great place to shop (or window shop!) for high quality, exclusive and stylish items. Along with the many lush parks, this is a lovely place for a stroll in the pleasant climate of Summerlin, which is always a bit cooler than downtown Vegas. At YESnick Vision Center, we’ll take care of you and your eyes, whether you are a guest or resident of Summerlin, NV. Dr. David YESnick provides a total range of eye care services to help you achieve crystal-clear sight. No matter what you need, from designer eyewear to comprehensive eye health exams to management for ocular disease, we are here to serve you with friendly, quality treatment! If you’re in Summerlin, we invite you to join the many patients who travel from all over the world to benefit from Dr. YESnick’s health care team. Our collection of fashionable frames will keep you looking and seeing sharp! We stock a variety of designs to satisfy every expression, from elegant titanium and rimless - to funky and creative plastics. If you need to replenish your supply of contact lenses, a range of premium brand-name lenses is available at YESnick Vision Center, serving Summerlin conveniently. Our optical team will help you choose the ideal eyewear for your lifestyle and visual needs. Your entire eye care experience at YESnick will be pleasant and efficient – with no wasted time and ultimate customer satisfaction provided! Our highly trained staff is ready to answer your questions and book your next appointment. Colored contact lenses recommended by our optometrist near Summerlin not only for Halloween parties, but also for fun and a fresh look. Here is more information about colored contact lenses in Summerlin, Nevada - where to buy nonprescription colored contacts and prescription types, how to select the right lens for you and much more. At YESnick Vision Center we provide Macular Degeneration & Low Vision Assistance in Summerlin. If you have macular degeneration, you may suffer from central vision loss. At Yesnick Vision Center, we understand how frustrating it can be to lose independence due to reduced vision. 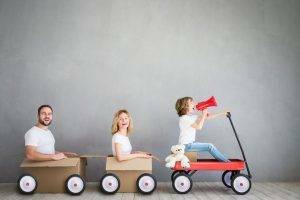 Tasks that used to be routine may now be challenging, such as reading, driving and watching television. However, there is no reason to cope with macular degeneration on your own. Located conveniently to serve Summerlin, our eye care center is dedicated to helping you maintain independence and improving your quality of life with a variety of low vision devices and types of low vision assistance. Your eye care and vision are an important part of your health. 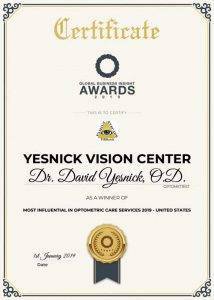 A reliable, professional, competent optometrist such as Dr. Yesnick is a rare find. 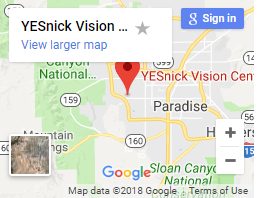 The Yesnick Vision Center based in Summerlin Nevada offers a wide range of services related to vision and eye care. Our practice is well known in Las Vegas and was even accredited the best optometrist in Las Vegas in 2018.